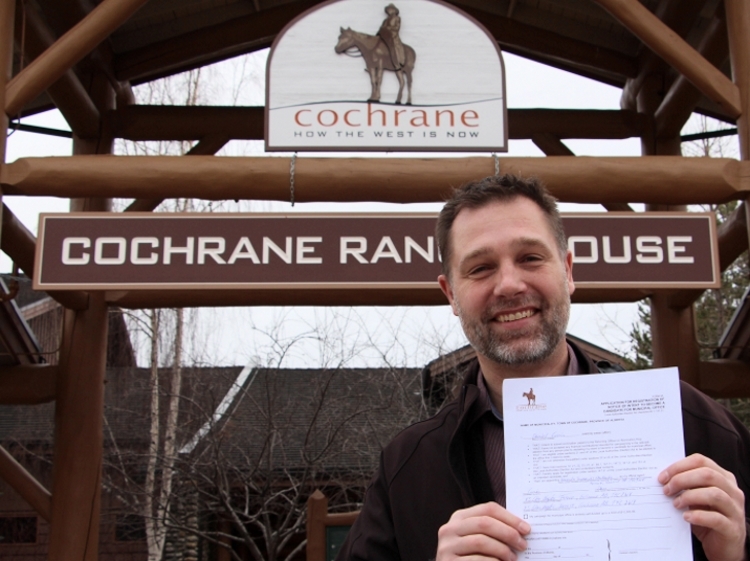 Dan Cunin is off and running as the first potential candidate for the fall municipal election in Cochrane. Cunin registered with the Returning Officer on Apr. 18 to launch his campaign for town council and will take the six-month lead time to connect with people in the community to discuss the issues and listen to their ideas. Cunin, 47, was also the first to announce his campaign last time around and while he intends to refine his message, he believes many of the woes facing the town four years ago continue to exist today. “A lot of the problems that we had have only gotten worse,” says Cunin. He points to the need for setting the right priorities for fiscal spending, transportation and to properly managing our growth. Cunin visited practically every Cochrane household last time around. While this may not be possible this election, he’s already making plans to more effectively communicate his ideas. He’s established the email account dan4towncouncil@gmail.com, is ordering his first piece of literature and should have his website up within a few weeks. Subscribe to Dan Cunin's campaign mailing list to stay up to date on my platform, public appearances and other important news related to the Cochrane Town Council election. © 2018 Dan Cunin | Approved by the official agent.